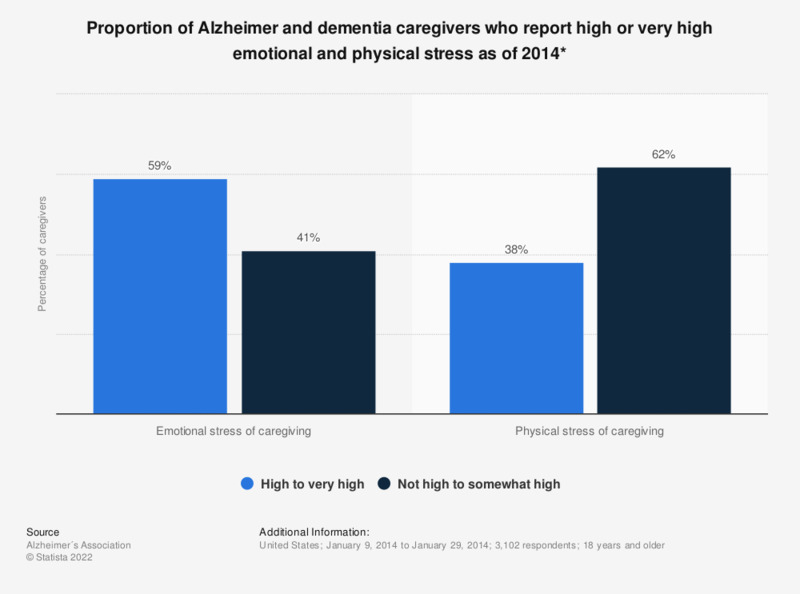 This statistic shows the proportion of Alzheimer and dementia caregivers who report high or very high emotional and physical stress due to caregiving in the United States as of 2014. Some 38 percent of such caregivers reported high to very high physical stress due to caregiving. * Stress due to caregiving.